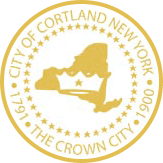 Sponsors support the Great Cortland Pumpkinfest by making many of the festival’s activities possible. From the main stage to the acoustic tent, pony rides to the pumpkin decorating contest, sponsors bring many of the beloved Pumpkinfest events to festival attendees. The Great Cortland Pumpkinfest appreciates all of the businesses who support us. It is because of you that we are able to put on the festival year after year - thank you!